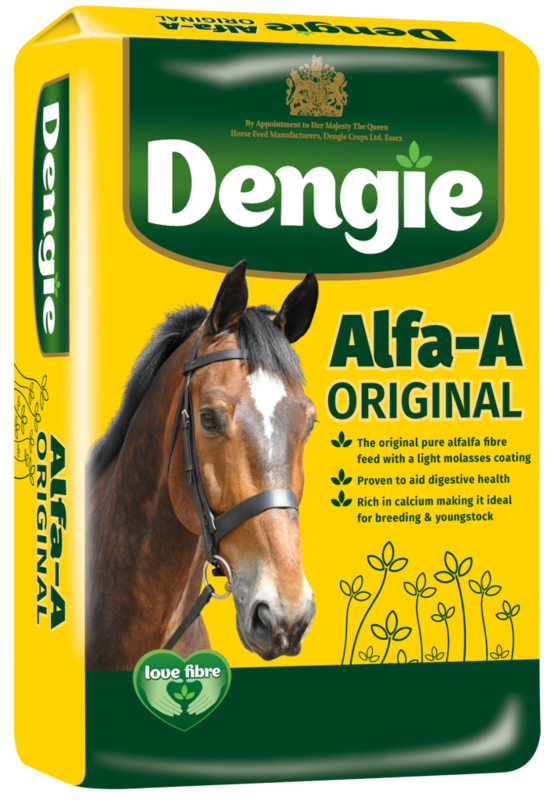 Dengie’s range of Alfa-A fibre feeds is based on chopped alfalfa fibre and has been developed to meet the nutritional requirements of working horses and ponies or for promoting improved condition or weight gain. Alfalfa provides the quality protein essential for improving top line, muscle condition and repair. Naturally low in sugar and starch, independent research has shown that alfalfa can aid digestive health by acting as a natural buffer. 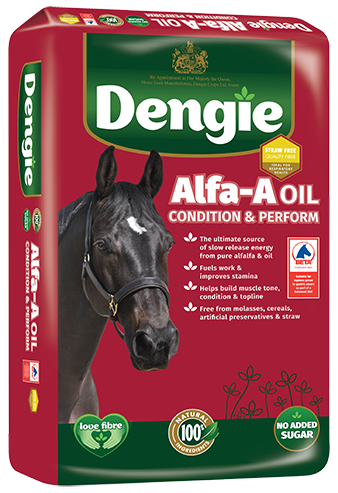 Research shows that feeding alfalfa also improves hoof quality, due to its abundant levels of calcium and other naturally occurring vitamins and minerals which are easier for the horse to absorb and utilise. 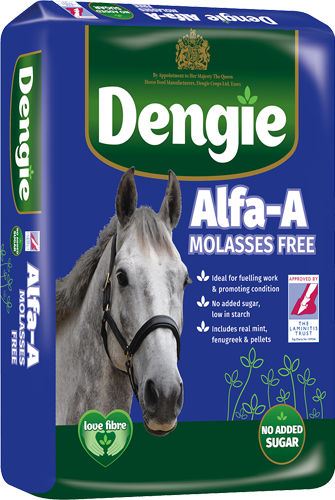 The original pure alfalfa fibre feed with a light molasses coating, providing quality natural nutrients for working horses and ponies. 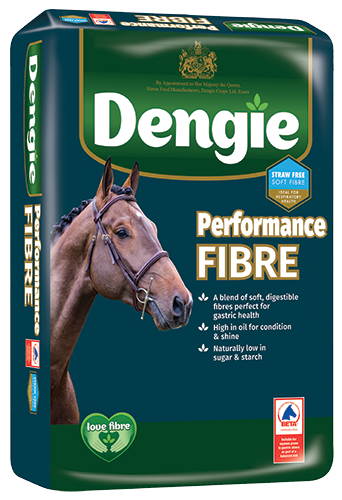 A low starch fibre feed for working horses and ponies, made from pure alfalfa with added spearmint oil and a light molasses coating. Fit, athletic horses are typically picky and therefore difficult to feed, so we've developed a high energy fibre feed that's sure to encourage the fussiest of feeders.